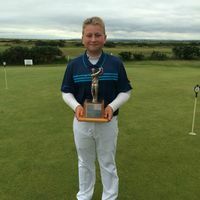 In Weather conditions containing high winds, heavy rain, and at times hailstones, Haylings very own James Hellyer came out on top in our recent Junior Open carding an overall net score of 149 (72 &77) in a field of over 40 Juniors. Congratulations to all who took part, with mentions also for fellow members Louie Growns and Maxwell Clapp who both scored a total of 155 to finish joint 5th. 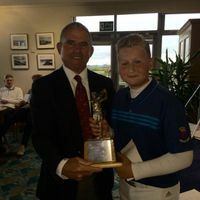 A proud James received his trophy from Club Captain Jamie Leggett. One of our biggest fixtures of the year, with Professionals travelling from all over the country to play Hayling. CLICK HERE to view the Results. This annual fixture is always well attended, with the draw being full 3-months prior to the day! A great turnout for this annual fixture - CLICK HERE to view the Results.